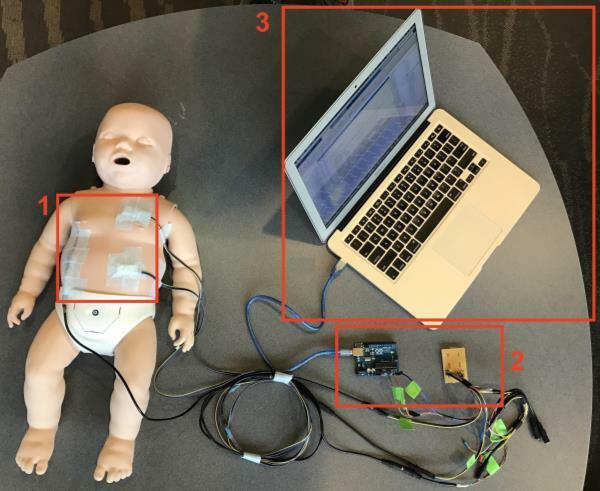 The winning project incorporates a portable electroencephalogram (EEG) that uses an open source headset (the Ultracortex by OpenBCI) and a new software analysis tool to achieve detection of Alzheimer’s disease before clinical symptoms are displayed. The device exploits changes observed in the brainwaves of Alzheimer’s patients in response to special auditory tones. The end result is a noninvasive and relatively inexpensive tool with the potential to detect Alzheimer’s disease with a high level of accuracy. The device could make dementia diagnosis more quantitative, systematic, and less costly—allowing doctors to use it at regular check-ups. This new device would digitize the brain mapping process and allow doctors to simultaneously test whether the brain tissue controls a critical area and apply digital tags to the surface of the brain. The digital tag system would provide physical, auditory, and visual warning cues when certain surgical tools encroach on tagged areas, so the surgeon knows where the targeted areas are, as well as those to avoid. This would allow the surgeon to operate without looking away from the surgical process while still being aware of the location of critical brain regions. It was designed to facilitate the insertion of healthy cornea tissue grafts to replace damaged tissue, in a corneal transplant procedure called Descemet's Membrane Endothelial Keratoplasty. The operation can completely restore a patient’s vision, but is difficult to perform correctly because corneal tissue is fragile, easily damaged upon contact, and tends to fold up on itself once inserted. The Treyetech technology tri-folds the tissue and places it in a special inserter device before it reaches the operating room. Then surgeons use the inserter to place the tissue without damaging it. Once in place, it naturally unfolds by itself thanks to the special tri-folding. The tool could help reduce the total time of surgery and limit potential problems. Current diagnostic tests available to individuals at risk for latent and active tuberculosis are invasive (requiring blood sample or an injection), expensive, and time consuming. The TB Assured is a paper-based immunoassay that uses nanoparticles to identify tuberculosis biomarkers in a urine sample. This could make diagnosis simple and inexpensive and help health professionals limit the spread of the disease. The AssistENT is a comfortable and discreet nasal dilator that can be inserted into obstructed nostrils to open the airways and facilitate breathing. Current nasal dilators are intended to be used only during sleeping hours, can be difficult to use, and are uncomfortable after prolonged use. They are also visible, making it unlikely that those needing help breathing during the day would use them. The AssistENT device is made from flexible, form-fitting materials that do not cause discomfort. It is also not visible when in use, eliminating the social stigma associated with existing dilators. AssistENT the first intranasal dilator that is fully suitable for use during the day, and it could present a viable alternative to reconstructive surgery to enhance nasal breathing. CauteryGuard is a patent-pending disposable electrocautery device that features an automatically retracting tip. Current devices have an exposed tip that remains hot for several seconds after turning off from a maximum operating temperature of up to 1200 degrees Celsius. Accidental contact with the tip can lead to injury to both the surgeon and patient as well as ignite surrounding flammable material. CauteryGuard eliminates this risk by incorporating automatic retractability while still retaining the core function of current devices. Retinopathy of prematurity (ROP) is a retinal disease that affects 20-70% of premature infants. If left untreated, it can cause visual impairment and blindness. Today, ROP accounts for up to 60% of childhood blindness; it is the leading cause of childhood blindness worldwide. Kaleyedos aims to reduce the global incidence of ROP-induced visual impairment by providing a telemedicine solution to ROP screening: the Kaleyedos Imaging Device (KID). The KID seamlessly integrates novel imaging hardware, a cloud-based telemedicine workflow, and an image processing suite to overcome the two main barriers to ROP screening: personnel availability and equipment cost. Increased work of breathing (WOB) or respiratory distress is an early symptom of several clinical problems in infants. If detected early, diagnosis and treatment of the underlying cause can be accelerated, ultimately reducing time for patient recovery and improving clinical outcome. However, there is currently no existing device that is widely implemented in hospitals to identify increased WOB. Monitor Infant Work of Breathing Apparatus (MIWOBA) continuously monitors infants’ WOB and detects adverse changes in an infant’s body. One of the leading causes of illnesses in the developing world is attributed to foodborne pathogens, such as Salmonella, due to the lack of sanitary food and water. This device eliminates many complicated and time intensive steps from the current microfluidic methods that can identify contamination while providing the user with an easily understood identification of the diagnosis. 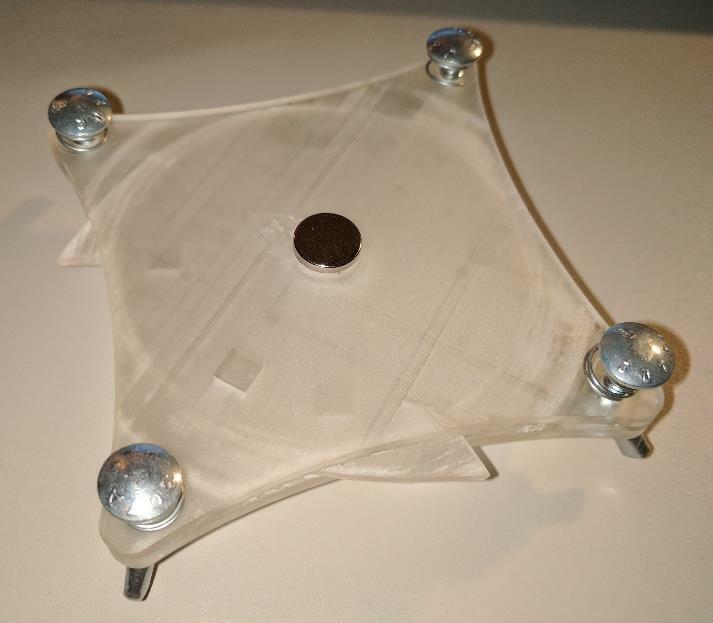 The microfluidic paper rotary device offers an inexpensive system that is ideal for ease of use in the developing world. Venous thromboembolism (VTE) is the leading preventable cause of deaths in hospitals around the world. The PneumaShoe is an over-the-foot intermittent pneumatic compression device (IPCD) to prevent VTE in low-resource settings. It prevents VTE by inflating two foot cuffs to the therapeutic pressure of 120mmHg, 3 times per minute.